Clever Comparisons ... for Kids! A hilarious, award-winning card and party game. Select the card best described by the judge's card. Be clever and convince the judge to pick yours! A fun way to expand vocabulary and thinking skills. 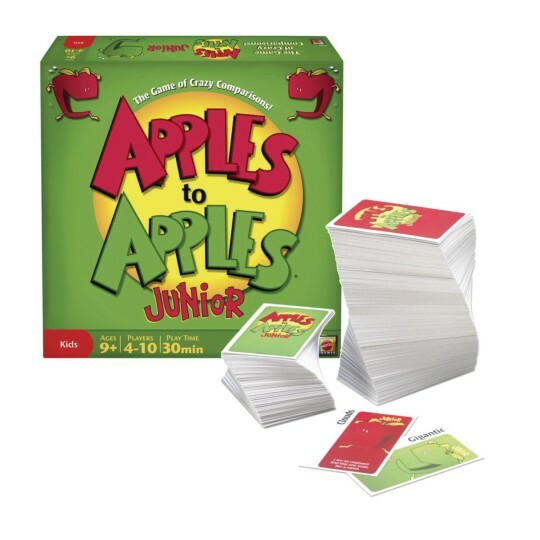 Bring the hilarious card and party game to younger players! Clever comparisons expand vocabulary and thinking skills. It's table talk at its finest - Select the card from your hand that you think is best described by a card played by the judge. Just wait until you hear all the clever and not so clever ways that players try to convince the judge to choose a particular card. Do your best, because if the judge picks your card, you win that round! The first player to win four rounds wins the game. 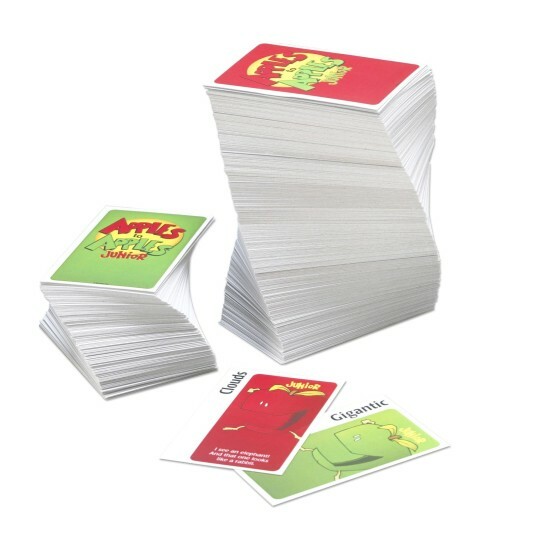 With over 500 cards, each round is filled with surprising comparisons from a wide range of people, places, things and events. 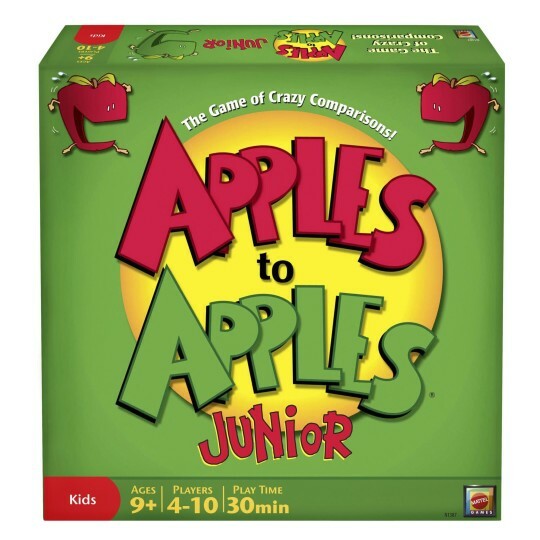 Fast-moving and refreshing, Apples to Apples Junior is easy to learn and fun to play. It's the perfect game for kids and adults. Ages 9 and up.